Animals have been building nests for millions of years, there are even fossil records of dinosaur nests! Over time nests have become very complex and from birds to turtles to termites and wasps there is beauty, diversity and much to be learned from these structures! 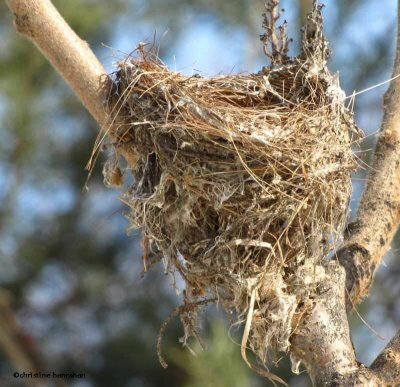 When we hear the word “nest” we tend to think of a standard woven cup structure built by a song bird of some sort, but there is an amazing amount of diversity in nests; materials, shape, strength, size that we don’t necessarily think about. A particularly interesting example of creative uses of materials to build a unique structure suited perfectly to utilize an environment uncommon for nesting is the cliff swallow. 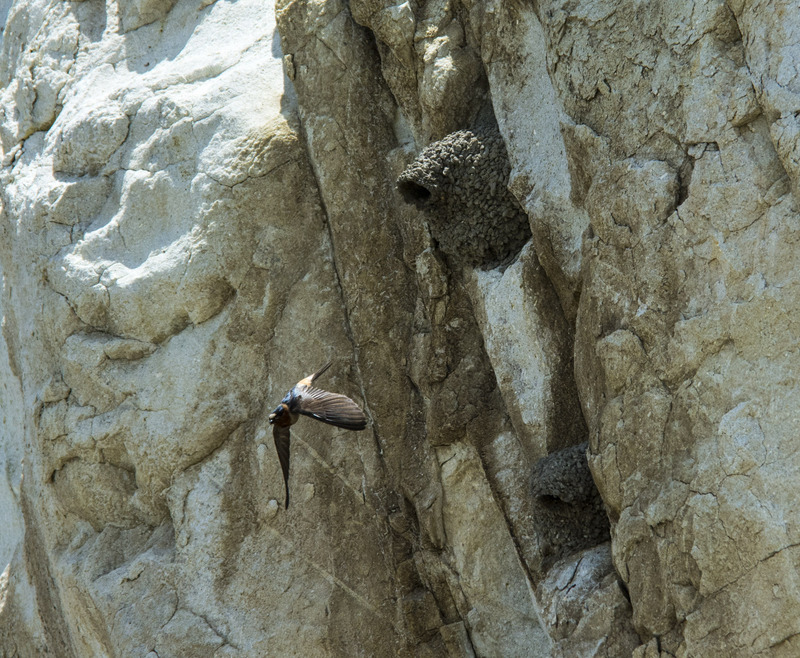 A cliff swallow leaving it’s nest: a mud based structure on the side of overhanging cliff faces, man made structures such as houses and the occasional tree. Photo by Jerry Kirkhart. There are not many birds who a. nest on cliff faces and b. utilize mud as a primary building material. The cliff swallow is really taking advantage of a niche market. Even between Cliff and Barn Swallows (another mud utilizing nest builder) the mud composition is different, so the two species are not competing over the same mud. This likely contributes to the differences in nest shapes between the species. Barn swallows build a more cup shaped nest while the cliff swallows build a dome. Cliff swallows (both male and female) will collect mud pellets from alongside bodies of water and place them on a vertical wall, under overhanging structures to create a nest composed of 900-1,200 individual pellets of mud! They will often also add plant fibers and hair to the structure, then line the inside with feathers and other softer fibers. 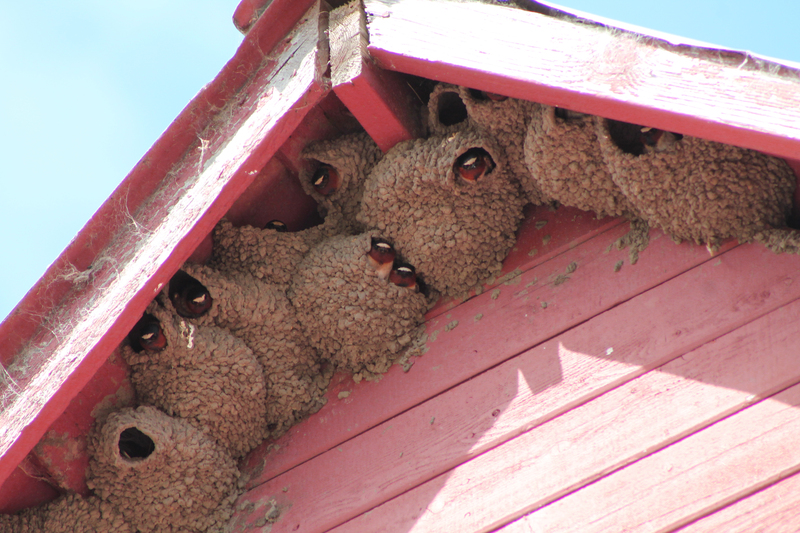 Cliff Swallows are very social when it comes to nesting, and will nest in groups of up to 3,700 nests! 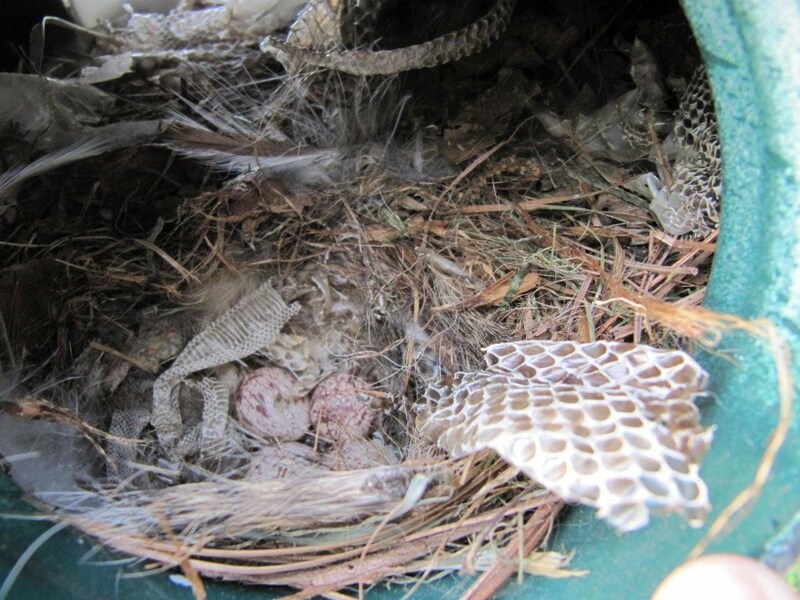 A great way to deal with predators of other species, but sometimes this results in nest parasitism, where one bird will lay it’s eggs in another bird’s nest. It takes 1-2 weeks for the Cliff Swallow to build it’s nest, which all things considered is actually rather fast! This structure has no load bearing capabilities from below, yet will support 4-6 eggs for 12-14 days and once hatched, nestlings will remain in the nest for 23 days. The design of the cliff swallow nest has been studied by engineers and shown (in engineering terminology I don’t completely understand, but appreciate due to the parts I can understand as well as trust in the peer review process) to have a nearly perfect design for it’s use! 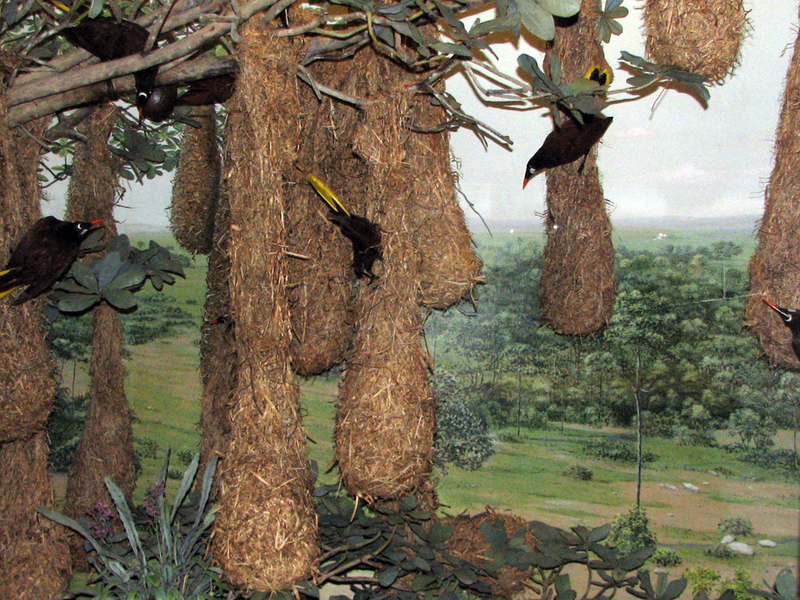 Basically what I’m trying to say is that bird nests are amazing. From the ground nests of penguins, to goldfinch cups, mourning dove, chipping sparrows and cliff swallows. Nature’s engineers are hard at work creating amazing structures in which to raise their young. The American goldfinch creates a cup shaped structure built of woven plant fibers including bark strips, all bound together using spider webs, caterpillar silk, and other woven fibers. The goldfinch will always build it’s nest above a fork in a tree branch. You can find a bird nest yourself by going out and following a bird carrying food or nesting materials, just remember not to get too close. Bring a pair of binoculars and look from a distance or wait until the nest has been abandoned to get a closer look. 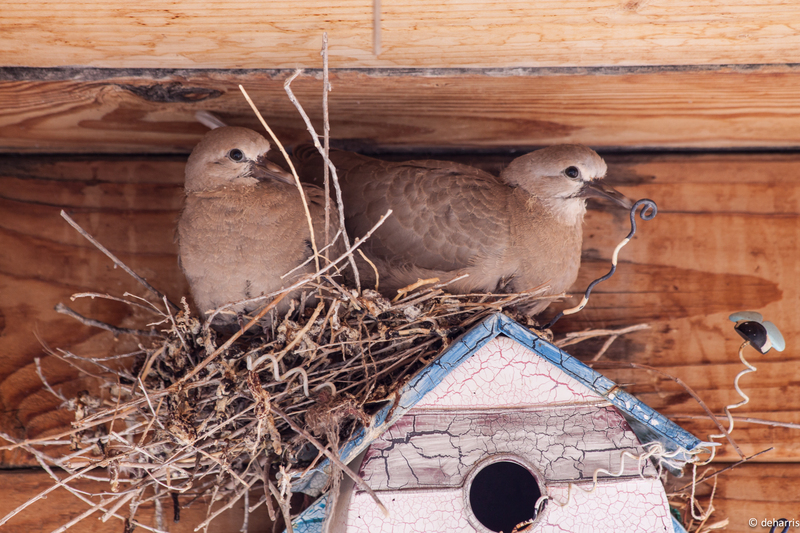 If you disturb the nest the baby birds might try to fly away before they are ready! This entry was posted in Science by thetransientbiologist. Bookmark the permalink. Pingback: 13 Animal Architects And The Beautiful Homes They Build - Whats the Buzz ? Pingback: 13 домов, которые построили себе животные | У Бублика! Reblogged this on ❧Defining Ways❧.